PARRY SOUND – The soldiers floating in the broken ice of Parry Sound’s harbour were calling for help. 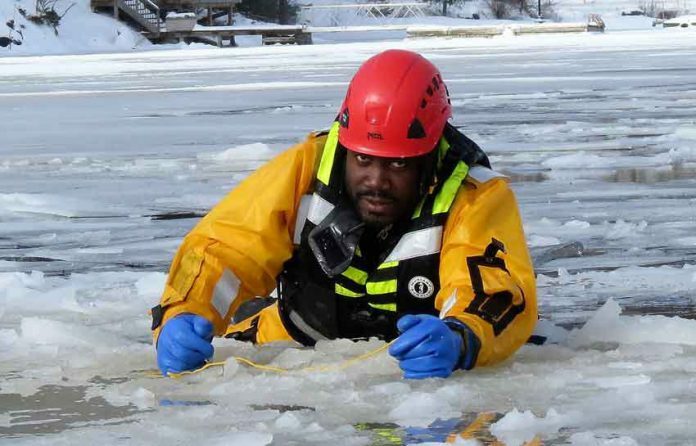 The soldiers’ shouts for help were all part of a series of realistic ice rescue scenarios that saw them learning how to rescue themselves and others who had fallen through ice into frigid waters. The 10 soldiers were from the 3rd Canadian Ranger Patrol Group (3 CRPG) at Canadian Forces Base Borden. Most were instructors who travel regularly to the Far North of Ontario to train Canadian Rangers, who are part-time army reservists, in the vast area’s remote and isolated First Nations. 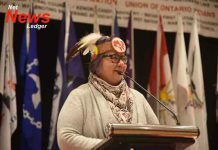 There are 570 Rangers in 25 First Nations in Northern Ontario. 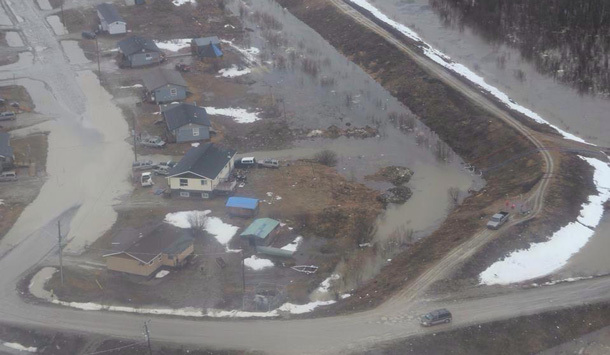 The area has the highest number of Indigenous drowning deaths in Canada with many related to falling through ice. 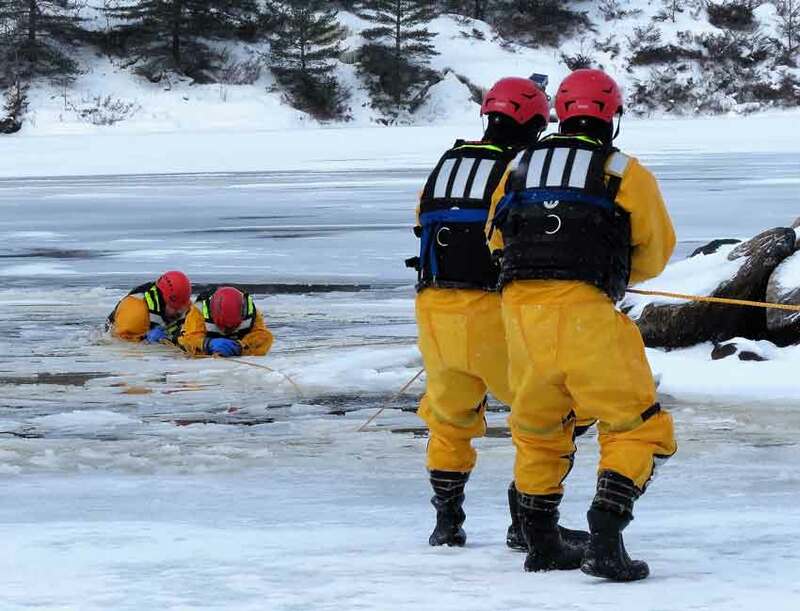 The training in Parry Sound consisted of three days of concentrated instruction in both a classroom setting and engaging in practical rescue scenarios. The “victims” were soldiers who took turns in being rescued and being the rescuers. They wore immersion suits to protect them from the cold. Mr. Ruskay provides various forms of rescue training to a variety of students in Canada. But the way the soldiers approached the demanding training impressed him. “They are different,” he said. “They can manage themselves in cold or inclement weather. They have a really unique sense of teamwork and camaraderie. They follow instructions and they work extremely well together. They have leadership qualities and they are highly skilled at what they do. 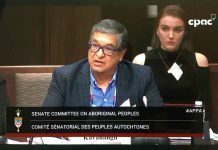 “We know through anecdotal evidence that the rates of ice incidents are much higher in the North where these soldiers go. Indigenous peoples are the ones hunting and trapping on those frozen waterways up there that are critical to their livelihoods. They go through the ice. In 2011 an instructor from 3 CRPG who had taken ice rescue training saved the life of a distraught woman in Sandy Lake First Nation in Northern Ontario. He was in the remote community when the woman, determined to end her life, approached an area of the river where fast-moving currents made the ice extremely unstable. 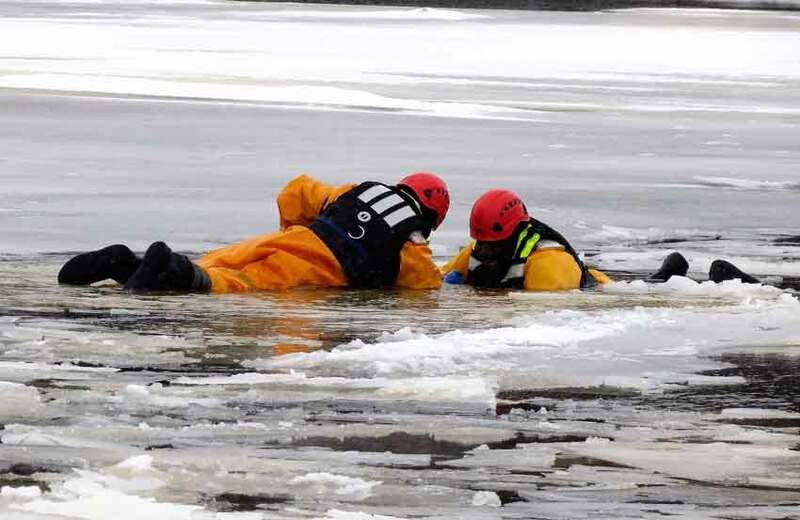 The local police lacked ice rescue training and asked the local Rangers for help. The instructor, wearing a safety line, was able to tackle the woman in the water and the police and Rangers pulled them to safety. In 2015 a civilian volunteer went with a Ranger search party to help an elderly resident of Eabametoong First Nation who was stranded in a white-out blizzard. The volunteer got separated from the Rangers on the return trip to the community and drowned when his snowmobile went through the ice on a creek.